We woke this morning to hear of the death of Nova Unaio fighter Leandro ‘Feijao’ Souza while cutting weight for tonight’s scheduled Shooto Brazil 43 card which has since been cancelled. First of all, we extend our heartfelt condolences to Souza’s family, friends and teammates in this painful time. Secondly, we’ve seen a lot of commentary about weight cutting in MMA today, some of it well intentioned, some of it bullishly dismissive, some of it almost gleefully critical and most of it thankfully reflecting the sense of shock and compassion all decent folks should be feeling right now. Make no mistake, this might have been the first publicised death directly linked to weight cutting in MMA but it is not a freak occurrence. This had been coming for a long time, and the litany of fighters having to pull of out of fights during weight cuts with kidney problems, badly missing weight, making weight by the slimmest of margins and/or looking very drained a full day later come fight time shows that it is an enduring and serious issue. The fact that fighters have by and large been able to cut significant amounts of weight without immediate health concerns and then compete successfully is the wonder here, and is in fact a testament to the determination and hardiness of those folks who step in the cage. Weight cutting confers a noticeable advantage in competition – allowing a fighter to theoretically compete against physically smaller opponents – although in effect it has become a practise which it is necessary to utilise merely in order to stay competitive. As everyone cuts weight, those who fight in any given weight class will inevitably have a healthy, walking about, competing the next day weight more suited to a division at least one, sometimes two classes higher. As it confers a competitive advantage or at least parity (don’t do it, and you’ll be fighting a larger, heavier opponent come bell time) it’s something that is going to be done, even in the case of such tragedy and the well established risks. Fighters will do it, camps will help with it and promotions will not punish it, as it’s part of the sport, is accepted as a necessary evil in order to be successful and fighters want to win, while promotions want matches to go ahead. I feel that MMA needs to protect itself, and few issues show the problems with MMA’s lack of empowered, centralised oversight as this. If one promotion makes a stand, fighters will move elsewhere, their champions will be degraded as not being big or dedicated enough to succeed in promotions that allow cutting etc. How about, we have second weigh ins on the way to the cage. Fighters are allowed to weigh in within ten percent of the divisional limit en route to the cage. That would allow Lightweight fighters to walk in at 170lbs, welterweights at 187lbs, and heavyweights up to a mighty 291lbs. That leeway allows a degree of weight cutting, but should preclude fighters from attempting that one weigh division too far. …So long as you hit weight the day before, the fight goes ahead but if you miss weight en route to the cage, you lose 25% of your fight purse and the ability to win a title belt. If a champion misses the second weight, then they vacate the belt and are effectively fighting for the chance to compete for it next time out. The challenger can still win the belt, so long as they make weight. If nothing else, I hope that Leandro’s death forces the wider MMA community to take a long look at itself and look more towards fighter safety, not just in terms of TKOs, but in terms of out of the cage concerns like weight cutting, drugs etc. The continual chorus from promoters (looking squarely at the UFC in particular) that ‘it’s not our place’ to take responsibility for such things cannot continue. 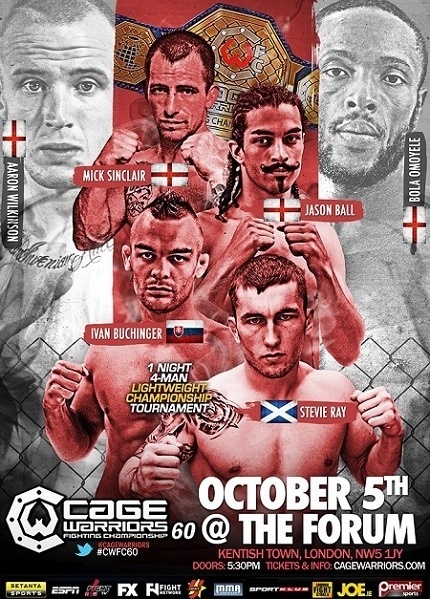 Fast rising Scottish promotion First Fighting Championship have announced that the winner of the ‘performance of the night award’ – as decided by noted MMA officials Neil. 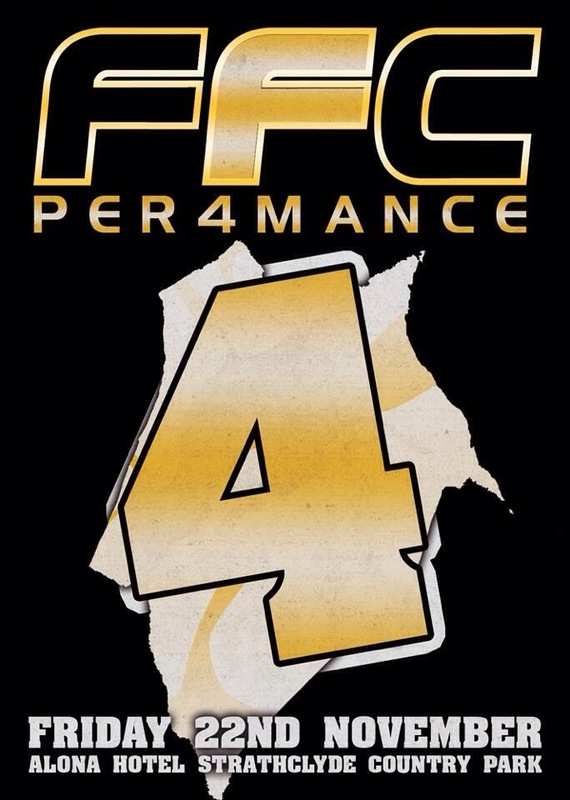 Hall & David Weir – at their upcoming FFC4 event on November 22nd will receive the opportunity to travel to Chicago and train with Team Curran under veteran Jeff and current Bellator Featherweight champion Pat as well as their camp full of well known fighters like Felice Herrig, Mackens Semerzier and Bart Palaszewski in early 2014. It’s a fantastic opportunity for a young fighter, and such forward thinking investment in the future of MMA in this country is something we can’t help but applaud. We’re fixing to be on site at FFC 4 for a top night of MMA action and we heartily encourage any of you that can make it to do so. Support grass roots MMA, see the future, NOW. On Friday, Rochdale’s own Martin Stapleton makes his stateside debut in the quarter finals of Bellator’s most recent Lightweight tournament. Somewhat familiar to international fans due to being a cast member of the Team UK vs. Team USA series of the Ultimate Fighter way back in 2009, Stapleton actually took three years out to complete a tour in the Royal Marines. In his return year of 2012, he embarked on a six fight win streak which culminated in three wins on one night, to lift the Cage Contender tournament trophy, a run which earned him his call up to Bellator. 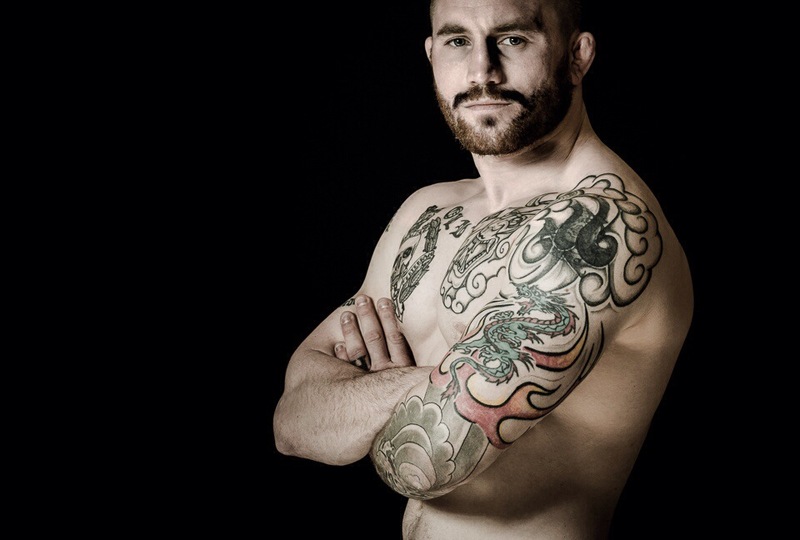 Stapleton is a well rounded fighter, although he is rightly best known for his potent submission game, his striking had noticeably come along in his return fights. With his only career loss coming via submission to Paul Sass in the dim and distant past (2008), a green beret tucked neatly into his kit bag and all the momentum and talent in the world, we are backing ‘Stapes’ to take Bellator by storm. On Friday he faces the dangerous Saad Awad, who entered the previous Bellator tourney as a VERY late injury replacement and stormed to the final on two memorable knockout victories before running into the wall that is David Rickels. 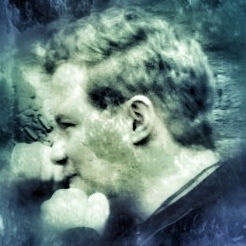 He’s British, he finishes fights, wins tournaments and is sitting on a hefty 8 fight winning streak. Of course we like him. You should too. Check out ‘.50 Cal’ making his Bellator debut on Friday, live in SPIKE TV in the States, and a week later on VIVA in the UK. 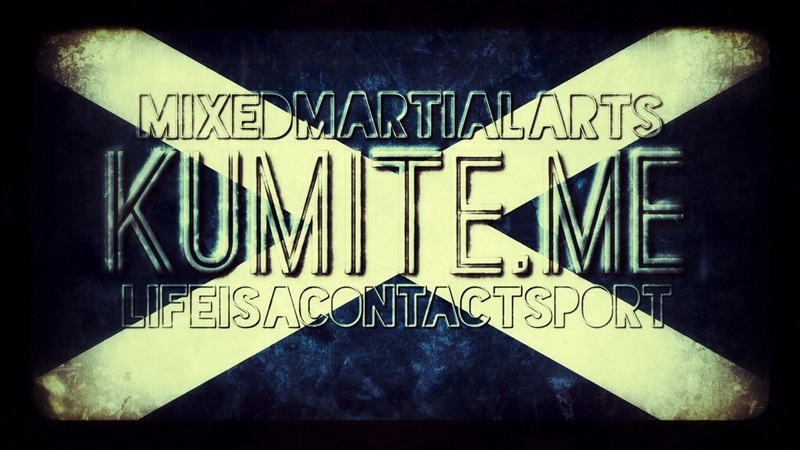 *Disclaimer – Kumite does not endorse or recommend the usage of sites like mma-core.com or mmaversus.com to catch up on fights that happened overnight or were not viewable directly in your area. If you know of any similar sites, please let us know and we will add them to this list of places we recommend that you don’t use. Headlined by a bantamweight clash between former Featherweight champion and FightMaster coach Joe Warren (8-3) against Nick Kirk (10-2) this isn’t Bellator’s most heavyweight (no pun intended) offering, which is likely to be a theme running up to their PPV debut as their big names like Michael Chandler are held off for that. However, the rest of the main card is filled with the opening round of the new lightweight tournament and it’s a truly compelling, if strange field featuring some veterans, some tantalising prospects and some undoubted talents who’ve been unlucky with injuries. First up is UFC vet Marcus Davis, drawing out his long career at lightweight against Russian, Alexander Sarnavskiy who was my pick for last season’s tourney before being ruled out through injury. More veterans Rich Clementi and John Alessio face off against last season’s also rans Will Brooks and Ricardo Tirloni, while my favourite fight is the meeting of last season’s surprise package Saad Awad, who impressed after being a late replacement and British debutant and TUF winner, Martin Stapleton who is no stranger to the tournament format. This event is notable just for being the 20th anniversary of one of MMA’s most long lived and beloved shows, but the card is deep and has some real international interest. Headlined by the experienced pairing of Ryo Kawamura (15-8-4) vs. Kazuo Takahashi (30-26-3) – that’s 86 pro fights between them – my relative ignorance of Japanese MMA (something I really should remedy, but you can only watch so much MMA before it starts affecting your normal life, strains your eyes and generally warps your perception of reality) means that the bouts which stand out for me are on the under card. Bellator and Sengoku vet Marlon Sandro features, as does Sweden’s Sirwan Kakai, who we feel is easily one of the best bantamweights outside the UFC alongside other familiar names like Richie Whitson and an awesome women’s match between Tara LaRosa and Rin Nakai. Mix in with some of the more familiar Japanese names like Mitsuhisa Sunabe and Satoru Kitaoka and this is a card that is definitely worthy of your notice. Protected: Judges cannot score by 10-9 alone. We’ve always been pretty proud of being ‘just’ a blog. It’s allowed us to make up our own schedules, say unfavourable things about promotions, fighters and even fans without worrying about bottom line, press passes etc. It was never about getting free stuff for us (although we wouldn’t say no), rather trying to present an honest, passionate and credible face for MMA fans and in our eyes, that involves saying things that need to be said, rather than being enthusiastic cheerleaders on the look out for the thrill of getting some attention from an industry figure or feeling important. However, as anyone who’s actually been a regular, loyal reader will have noticed, we’ve gone pretty quiet of late, and there’s a few reasons for that. For a start, we’re both in full time jobs and some choices have had to be made between living a full and healthy life, and spending hours hunched over our computers researching and typing articles. Also, it’s become a bit galling to spend hours of your free time writing an in depth preview of an event, to be rewarded with 20 views, especially when you see other blogs accumulating more followers through vacuous fanboy sucking-up, evident trolling, misanthropy and outright cuntishness. When we’ve had most response it’s been from folks who have been angry at us for not being a fan of certain fighters, failing to fall in line with the oh-so-fashionable pose of loudly hating the UFC or trying to offer a more clear headed approach regarding the progress of the sport, the real economics of the sport etc. It wears away at your will to spend time writing about the sport. That said, we’re not the type to be discouraged. A change in tack is coming. Out go dedicated event previews, in depth critiques of promotional actions and pretty much anything critical or negative. We’re not a news source and while we’ll still live tweet events and post news as we hear it on social media, we know we’ll never be first and you’re all as capable of trawling MMA Junkie, MMA Fighting or the MMA Underground as we are. We’re looking to keep this fun, sustainable and be a beacon for all that’s good about MMA. We stand by our old tag line of ‘life is a contact sport’ and the point of KUMITE had always been to make contact, to spread the word, to convey some of our enthusiasm for the sport. We realise that our old approach was causing more conflict than debate and we have no wish to be another blog which thrives on troll baiting. Similarly, it was more work without reward rather than a fun end in itself for us. I hope you enjoy the new emphasis. We will.